Paco Peralta’s design drawing for V1619. Image courtesy Paco Peralta. After 99 years on the newsstand, and just as stores are receiving the new designer patterns for Spring ’19, Vogue Patterns Magazine is ceasing publication. VPM’s final issue—and the Spring release—sees the return of Thai-American model and photographer Piyawan Chitsamran, a.k.a. Piya Wan. The final issue of Vogue Patterns Magazine, February/March 2019. Model: Piyawan Chitsamran. Photo: Jack Deutsch. Image: McCall’s. The late, great Paco Peralta was promoting this pattern just days before his death. (See his design drawing at top of post.) As released, it includes the duster coat, shown in waxed polyester with a cotton poplin lining, and high-waisted gaucho pants. But as he told me, his submission also included the bias top. Vogue 1619 by Paco Peralta (2019) Image: McCall’s. Zandra Rhodes is celebrating her label’s 50th anniversary in 2019. This jumpsuit with contrast binding is a Zandra Rhodes staple. The original is silk crepe de chine. Vogue 1617 by Zandra Rhodes (2019) Image: McCall’s. The archival design, done in lipstick-print chiffon, was part of Rhodes’ second Archive collection for Matches Fashion. Zandra Rhodes Archive II Lipstick jumpsuit in screen-printed silk chiffon. Image: Matches Fashion. Zandra Rhodes Party collection, Fall 2018. Model: Charnah Ellesse. Photo: Bridie O’Sullivan. Image: Zandra Rhodes. Badgley Mischka’s formal gown features a halter neckline with lace décolletage overlay. Vogue 1615 by Badgley Mischka (2019) Image: McCall’s. Add a beaded overbodice for a variation on the V1615 look. Badgley Mischka’s gown with beaded tulle overbodice. Image: Badgley Mischka. The striped dress on the back cover of the Spring lookbook is adapted from Carolina Herrera Resort ’18. Vogue 9357 after Carolina Herrera, Vogue Patterns lookbook, Spring 2019. Image: Issuu. The sleeveless midi dress is a Vogue Easy Options Custom Fit pattern, meaning it is adjustable for 4 cup sizes. Vogue 9357 after Carolina Herrera (2019) Image: McCall’s. Carolina Herrera Resort 2018. Image: Vogue Runway. Carolina Herrera Resort 2018. Images: Moda Operandi. 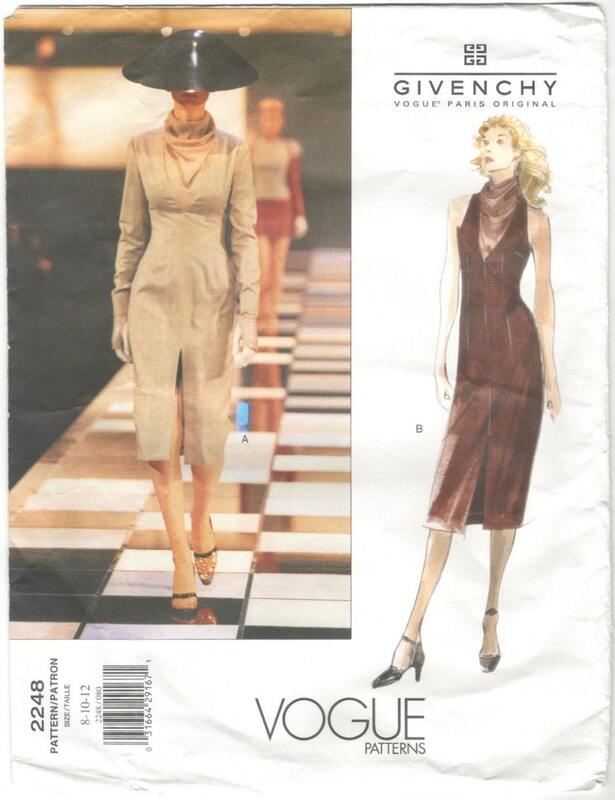 Another Vogue Easy Options design, the hi-low V9360 is Vogue’s adaptation of young London label Palmer Harding. Vogue 9360 after Palmer Harding (2019) Image: McCall’s. The Spring 2019 runway version—called the Streep—had dolman sleeves and a gathered back. Red latex gloves optional. 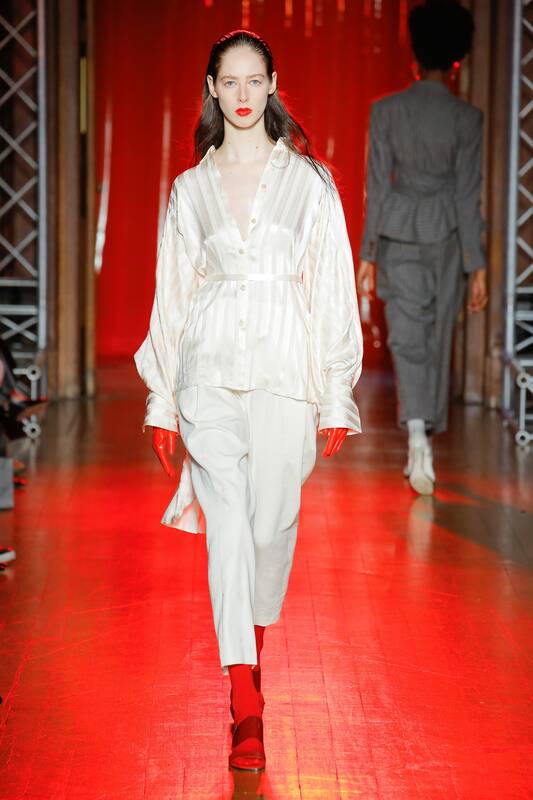 Palmer Harding Spring 2019. Photo: Luca Tombolini. Image: Vogue Runway. Roland Mouret’s navy Barwick dress was worn by a certain duchess. Vogue shot its adaptation in Mouret’s trademark Peppermint, but the envelope shows the navy dress front and centre. Vogue 9355 (2019) Version of Roland Mouret’s Barwick dress. Image: McCall’s. The Barwick dress, from Resort 2018, is still available from the designer website (link). The original is double wool crepe. Barwick dress, Roland Mouret Resort 2018. Model: Shujing Zhou. Photo: Maria Ziegelböck. Image: Vogue Runway. Noblethorpe dress, Roland Mouret Resort 2018. Model: Shujing Zhou. Photo: Maria Ziegelböck. Image: Vogue Runway. For a more faithful copy, adjust the back neckline and add an exposed zipper. Back view of Roland Mouret’s Barwick dress. Image: Roland Mouret. Finally, although Cynthia Rowley is absent from Simplicity’s Spring release, the company has reissued a late 1940s stole dress from the Simplicity Designer’s Pattern line. 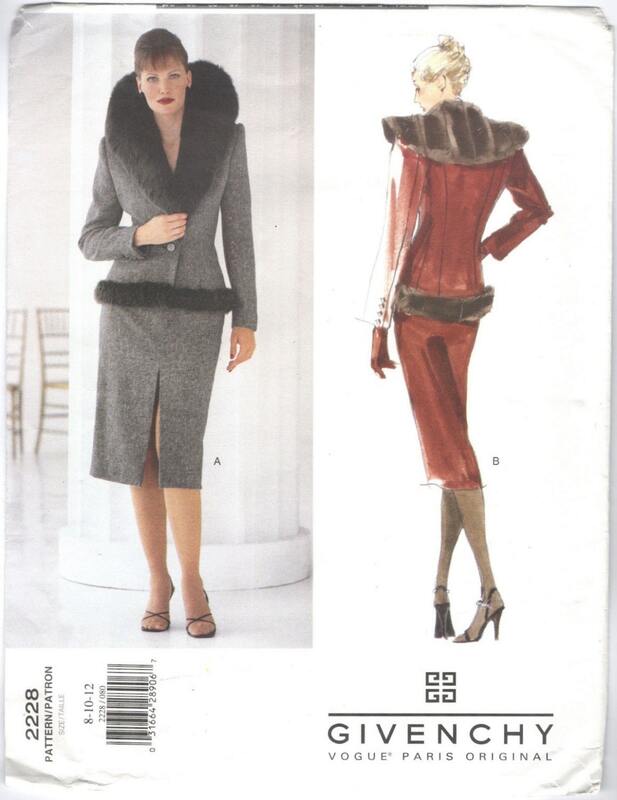 Simplicity 8876 (2019) Image: Simplicity. The original fabric suggestions were: Silk, rayon or wool jersey; silk or rayon crepes; monotone or figured pure silk; taffeta; faille. 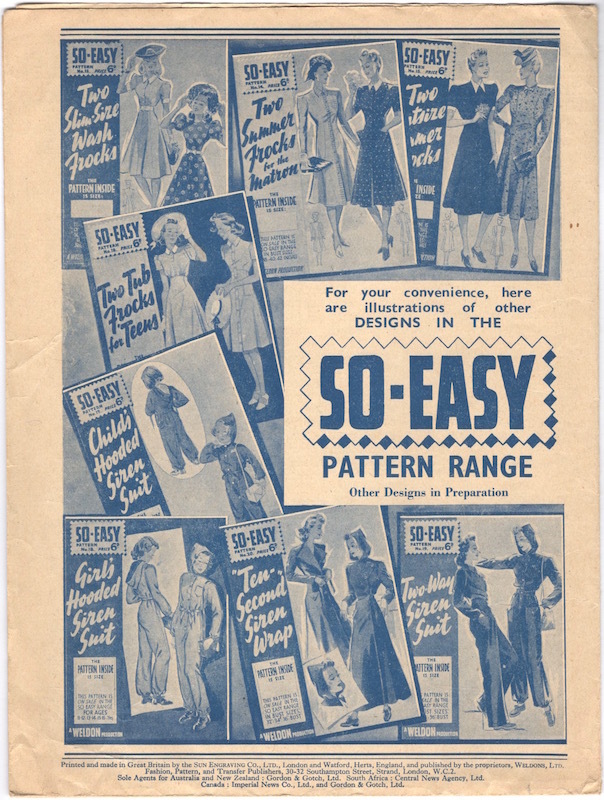 Simplicity 8108 (1949) Image: Etsy. Eugenia Silva wears Prada on the cover of Vogue Italia, March 1998. Photo: Steven Meisel. Editor: Bill Mullen. Image: The Fashion Spot. 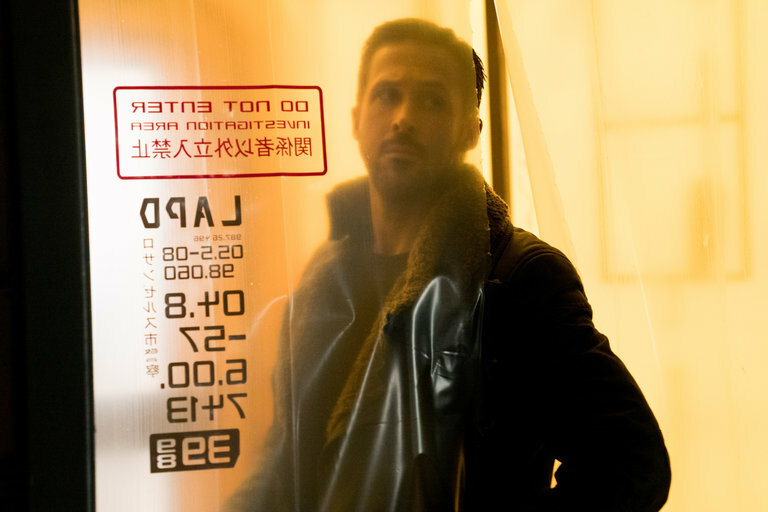 Ryan Gosling in Blade Runner 2049 (2017) Image: Stephen Vaughan/Warner Bros.
Thierry Mugler “Angel” fragrance advertisement, 2003. Image: eBay. 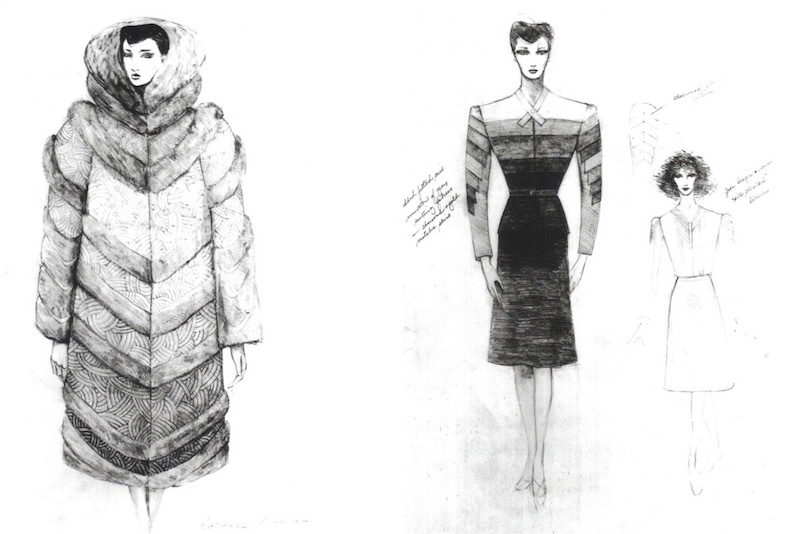 Rachael costume sketches by Michael Kaplan for Blade Runner (1982). In Dressed: A Century of Hollywood Costume Design (Collins, 2007). In spring, 1997, Blade Runner: The Director’s Cut was one of the first movies to be released on DVD. The following spring, working with stylist Bill Mullen and set designer Jack Flanagan, Steven Meisel photographed a Blade Runner-homage cover and editorial for Vogue Italia’s March 1998 prêt-à-porter issue. Michael Kaplan recalls mistaking the cover for a film still. The editorial features text from Roy’s climactic monologue (“I’ve seen things you people wouldn’t believe…”) with clothes from Prada’s Spring 1998 collection, which paired natural materials with synthetics like latex and plexiglass. Prada Spring ’98 in Vogue Italia, March 1998. Photo: Steven Meisel. Editor: Bill Mullen. Image: Vogue Italia Archive. 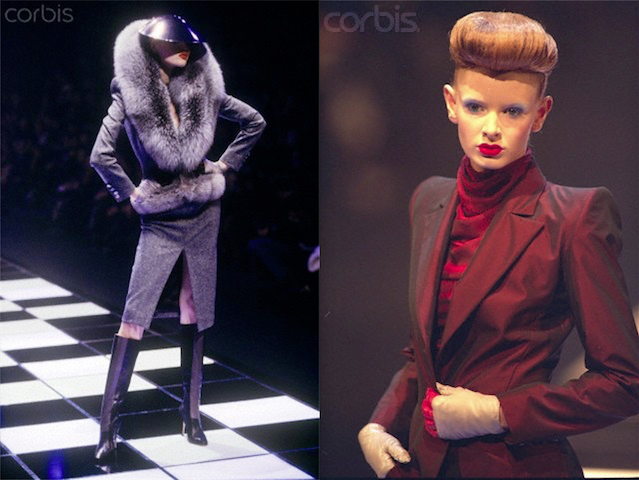 Two looks from Alexander McQueen’s Fall 1998 prêt-à-porter collection for Givenchy. Images: firstVIEW, Corbis. V2228 and V2248 (under jacket) on the runway – Alexander McQueen for Givenchy, Fall 1998 prêt-à-porter. Images: Corbis. Givenchy Fall 1998 by Alexander McQueen in Visionaire 58: Spirit (2010). Photo: Steven Meisel. Image: 1stdibs. Vogue 2228 by Alexander McQueen for Givenchy (1998) Image: PatternVault shop. Vogue 2248 by Alexander McQueen for Givenchy (1999) Image: PatternVault shop. In V2248 by Alexander McQueen for Givenchy at David Cronenberg: Evolution, 2014. Rachael’s chevron-quilted synthetic fur coat gets the most screen time, but it’s her blue brocade coat with standing fur collar that appears to have been McQueen’s main reference for the fur-trimmed coats and jackets. 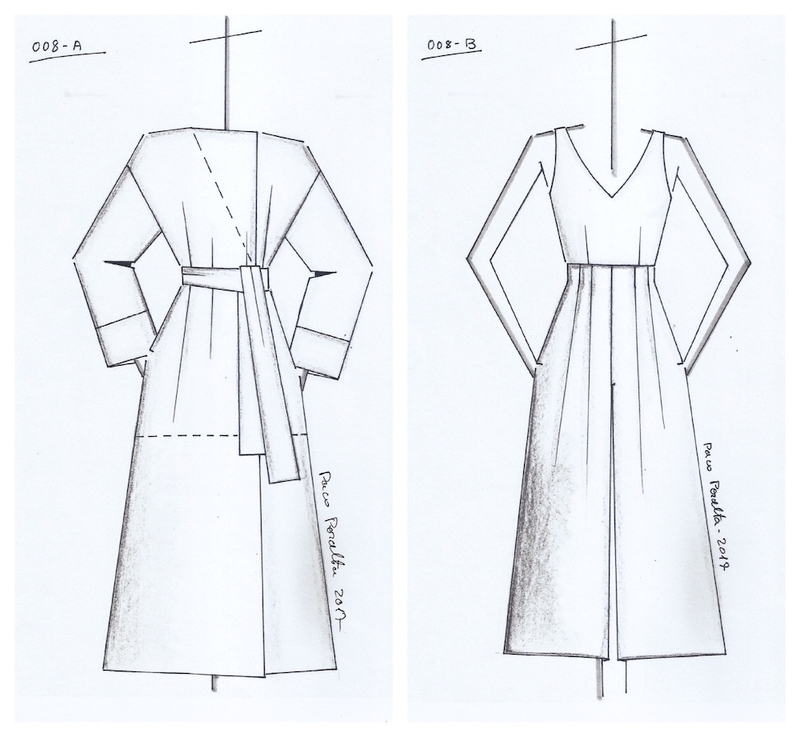 As the pattern reveals, the collar stands with the help of boning. 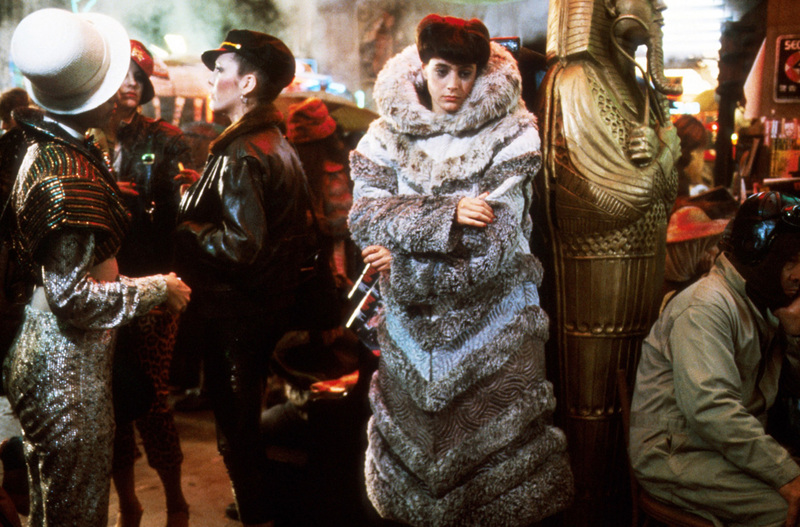 Rachael (Sean Young) in her quilted faux-fur coat. Image: Vogue Italia. Rachael’s blue brocade coat. Images: Pinterest, Christies/BladeZone. 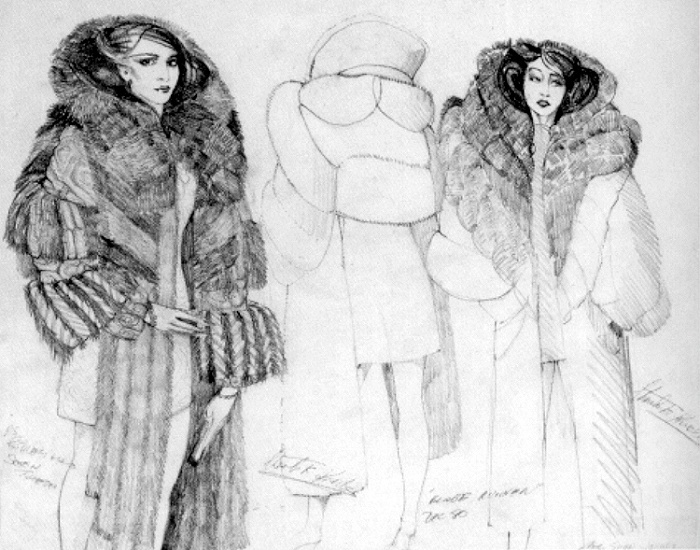 Charles Knode fur-trimmed coat sketches for Blade Runner. Image: BladeZone. 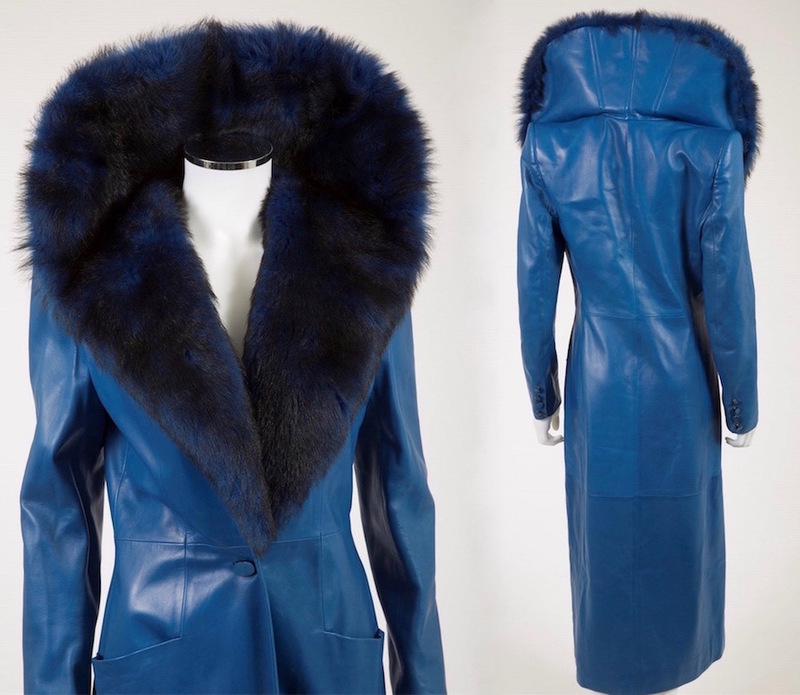 Blue leather coat with standing fur collar, Alexander McQueen for Givenchy, Fall 1998 prêt-à-porter collection. Images: eBay. 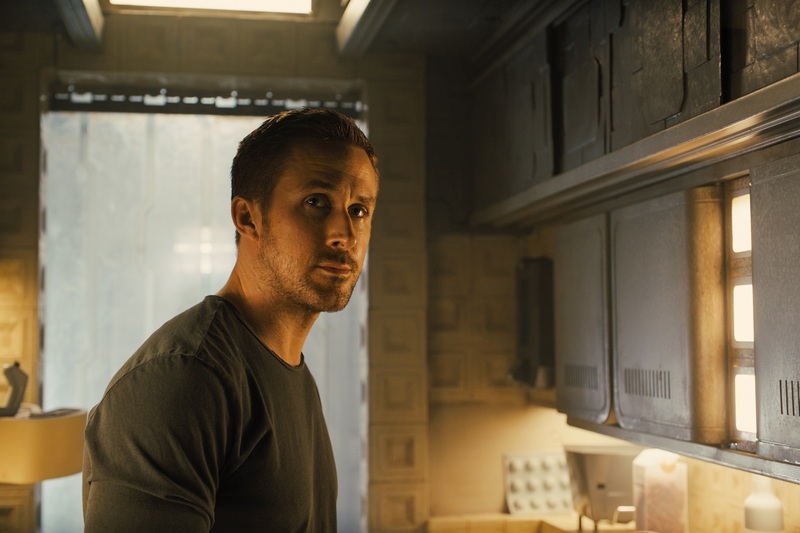 The weathered tones and textures of Mayan Revival—prominently seen in Deckard’s apartment, as played by Frank Lloyd Wright’s Ennis House—form a thread linking the first film, Meisel’s Givenchy campaign, and Villeneuve’s sequel. It was Kaplan’s vision of a dirty retrofuture, rather than glossy futurism, that won him the Blade Runner gig. It will be interesting to see what role revivals play in the new film. Rachael (Sean Young) in Blade Runner (1982) Image: Restless Things. Givenchy Fall 1998 ad campaign featuring Alexander McQueen’s Blade Runner collection. Photos: Steven Meisel. 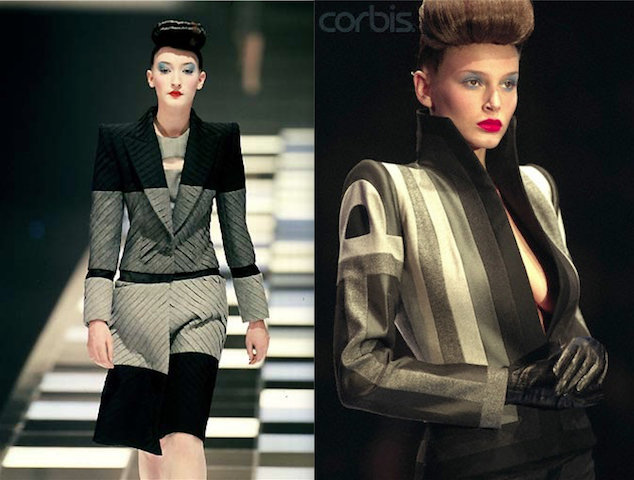 Models: Erin O’Connor and Jade Parfitt. K (Ryan Gosling) in Blade Runner 2049 (2017) Image: Vogue Italia. 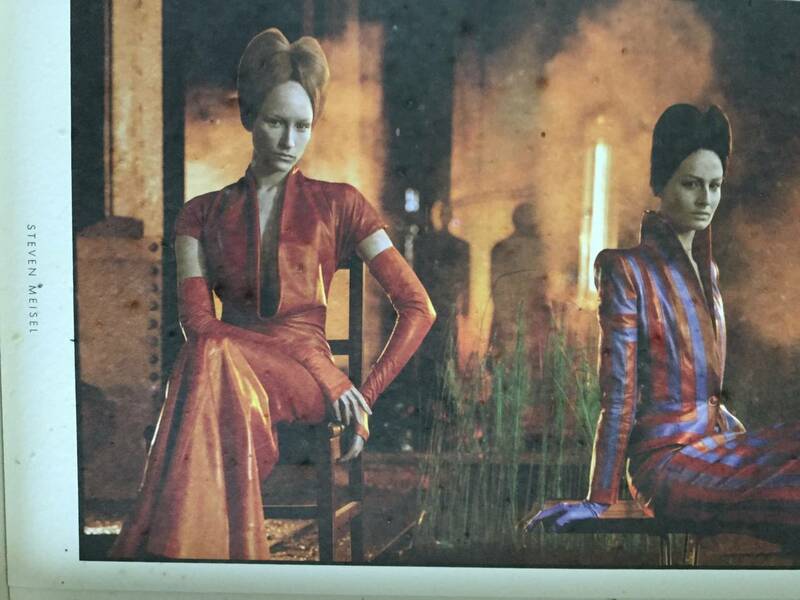 For more production images for the new film, see the Vogue Italia gallery. Detail, Weldons So-Easy 20 (ca. 1940). Weldons So-Easy 20 (ca. 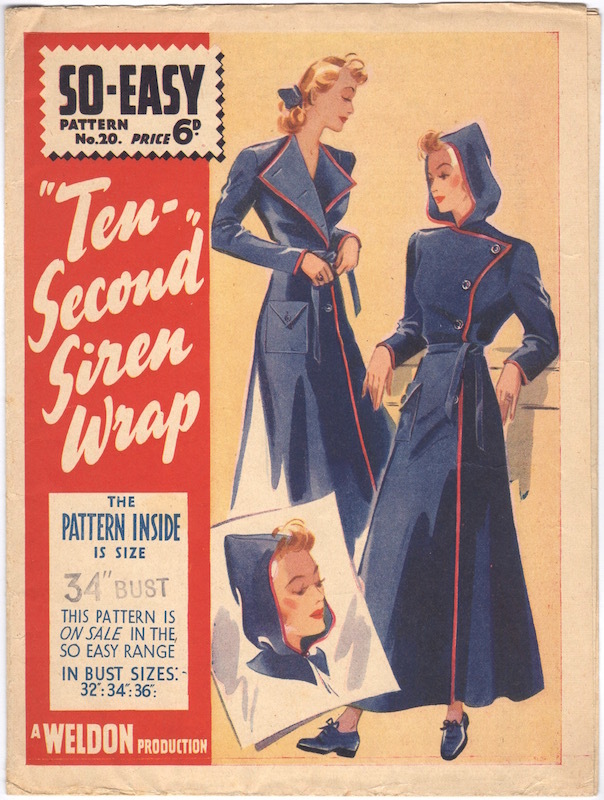 1940) Siren wrap. 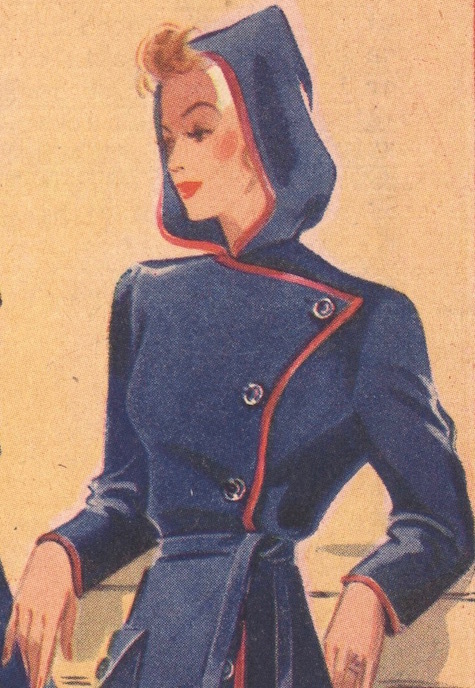 Other So-Easy air raid patterns included a women’s two-way siren suit (no. 19), child’s hooded siren suit (no. 17), and girl’s hooded siren suit (no. 18). Back of Weldons So-Easy 20, showing other designs in the So-Easy pattern range. The pattern tissue is printed with an advertisement for Dewhurst’s Sylko machine twist. 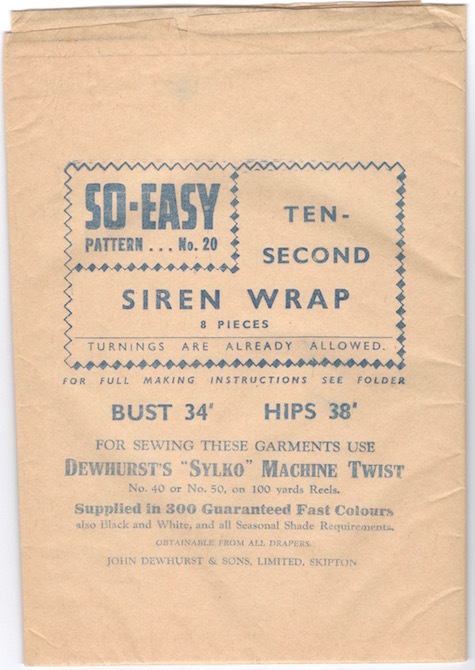 Weldons So-Easy 20 pattern tissue advertising Dewhurst’s Sylko machine twist. Quick-Change Siren Woollies – Weldon Knitting no. 29 (Nov. 1940) Image: Etsy. For more on Weldons’ wartime So-Easy patterns, see There’s a War On. 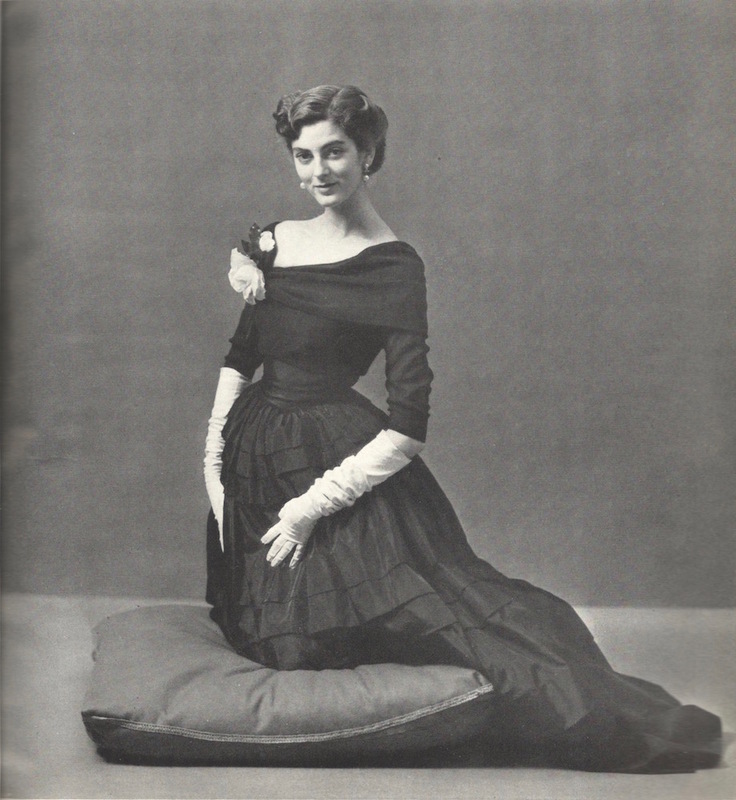 Carmen Dell’ Orefice in Ceil Chapman, Vogue, 1949. Photo: Norman Parkinson. Image via Norman Parkinson Archive. 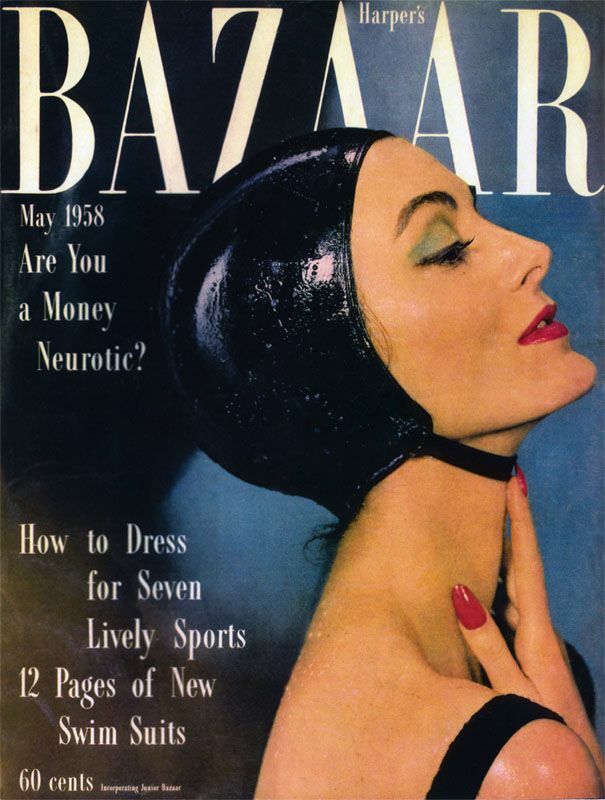 Carmen Dell’Orefice turns eighty-five today. Vogue, October 15, 1947. Photo: Erwin Blumenfeld. Image via Pinterest. 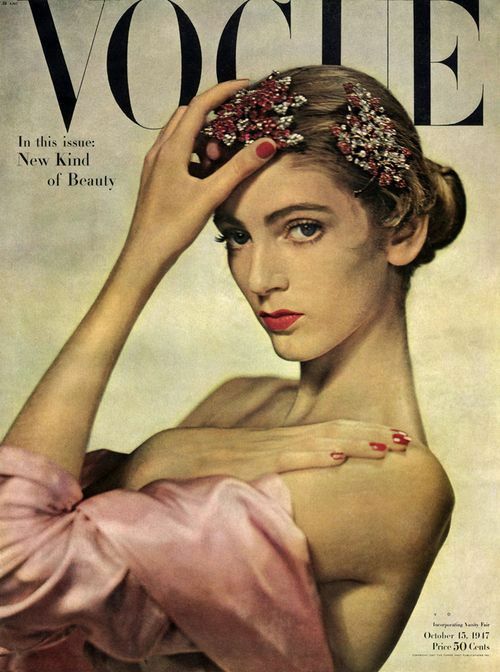 Often called the world’s oldest working model, Carmen Dell’Orefice (b. 1931) was discovered at thirteen on a New York City bus; at sixteen she had her first Vogue cover. In 2011, the London College of Fashion devoted an exhibition to her modelling work, Carmen: A Life In Fashion. Vogue, May 1955. Photo: John Rawlings. Image via Pinterest. 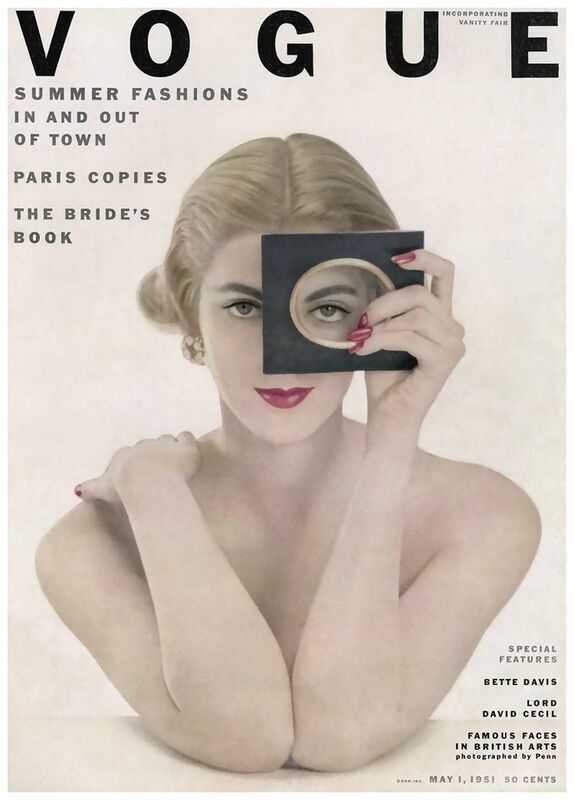 Harper’s Bazaar, May 1958. Photo: Gleb Derujinsky. Image via Pinterest. 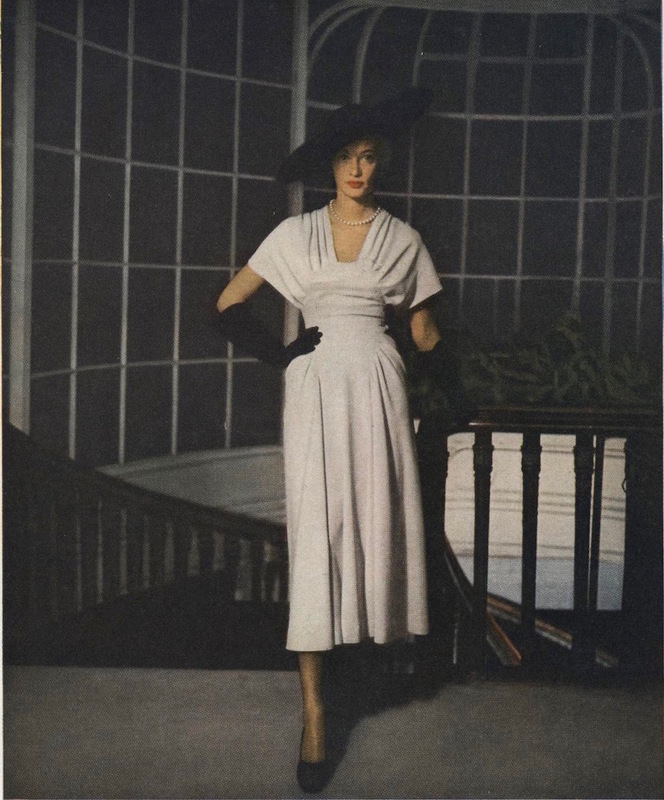 Dell’Orefice’s work with New York pattern companies may be seen in postwar publications from Vogue, McCall’s, and Simplicity, as well as more recent Vogue patterns. Vogue 6716 and 6708 in Vogue Pattern Book, April/May 1949. Photo: Richard Rutledge. Vogue 6065 and 6708 in Vogue Pattern Book, April/May 1949. Photo: Richard Rutledge. Vogue 6707 and 6708 in Vogue Pattern Book, April/May 1949. Photo: Richard Rutledge. 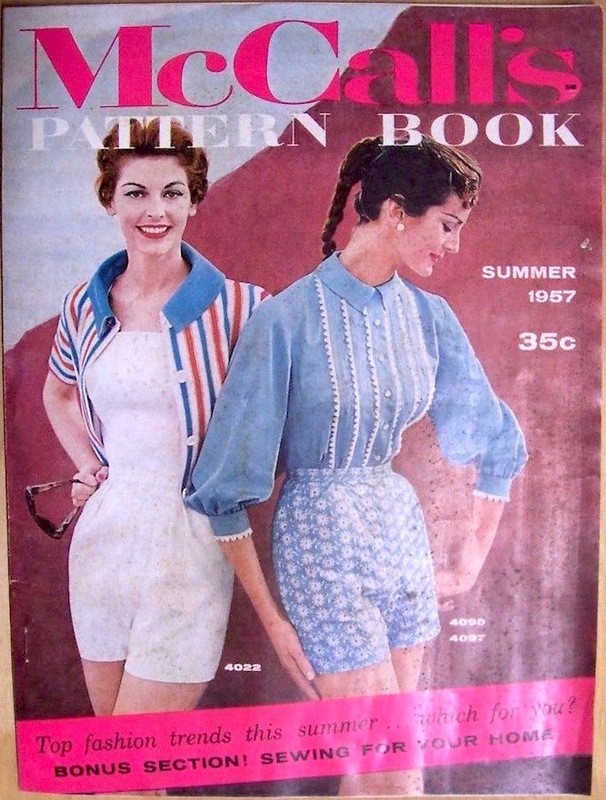 McCall’s Pattern Book, Summer 1957. Image: eBay. Simplicity magazine, Fall-Winter 1958. Image: eBay. 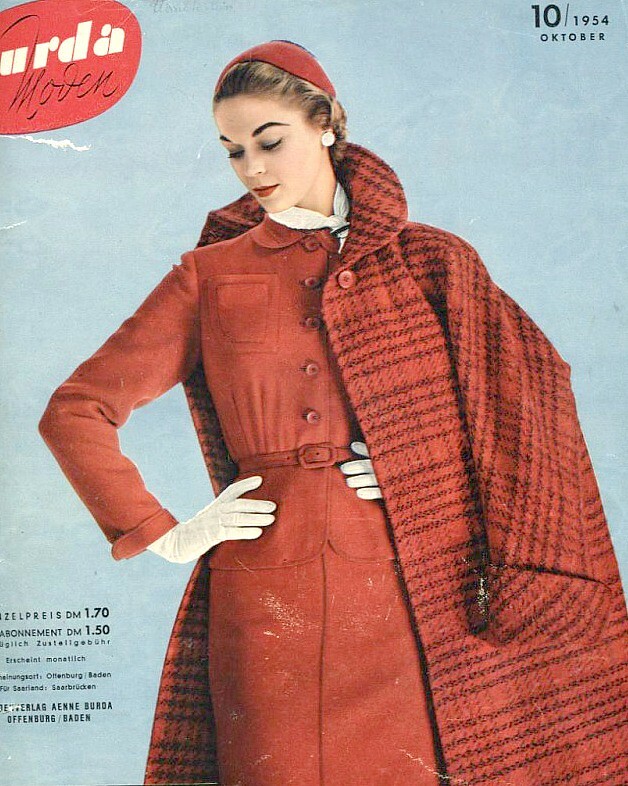 Vogue 9827 on the cover of Vogue Pattern Book, December/January 1959-1960. Image via Make Mine Vogue. Vogue 8195 (ca. 1982) Image via the Vintage Pattern Wiki. 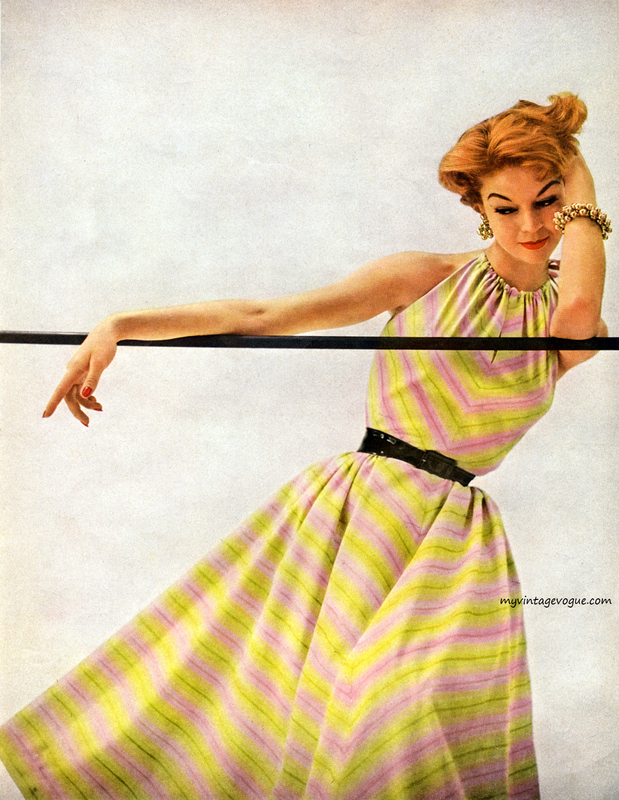 Vogue 8521 by Arlene Dahl (ca. 1980s) Image via Etsy. Vogue 1972 (1997) Image via Etsy. Vogue 9821 (1998) Image via eBay. Alberta Ferretti fashion show, Florence, 2011. Image: Getty / Vogue Italia. Vogue, January 1950. Photo: Erwin Blumenfeld. Image: jeanpatchett.com. 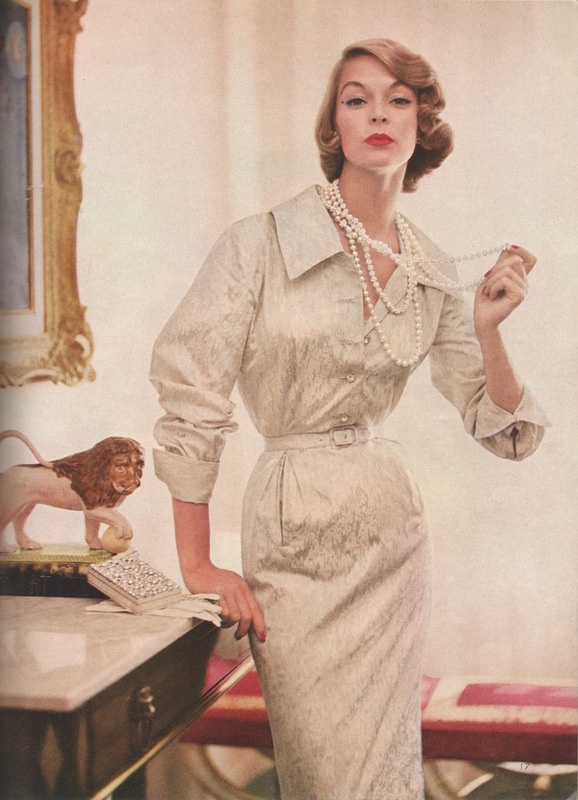 Today is the 90th anniversary of Jean Patchett’s birth. Vogue, April 1, 1950. 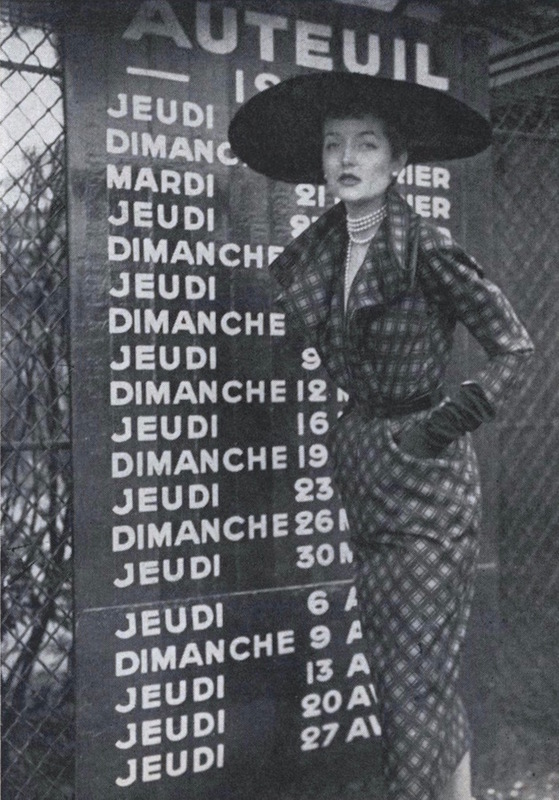 (Dress by Larry Aldrich; Lilly Daché hat.) Photo: Irving Penn. Image: jeanpatchett.com. British Vogue, July 1951. Photo: Clifford Coffin. Image: Vogue UK. 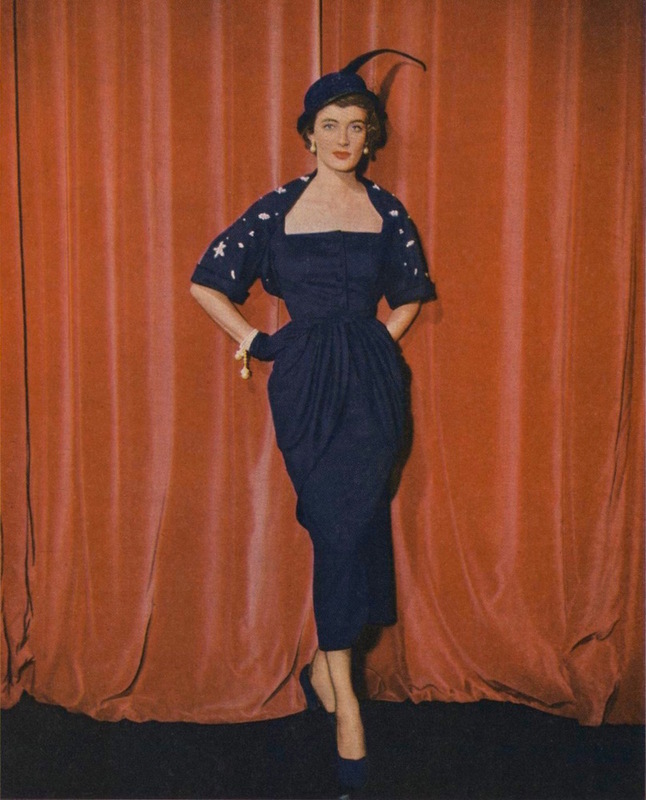 According to a short profile in Glamour, in her off hours, Patchett enjoyed making her own clothes (Glamour, Oct. 1948). She can be seen in pattern editorials for Vogue, Simplicity, McCall’s, and Butterick from the late 1940s on. 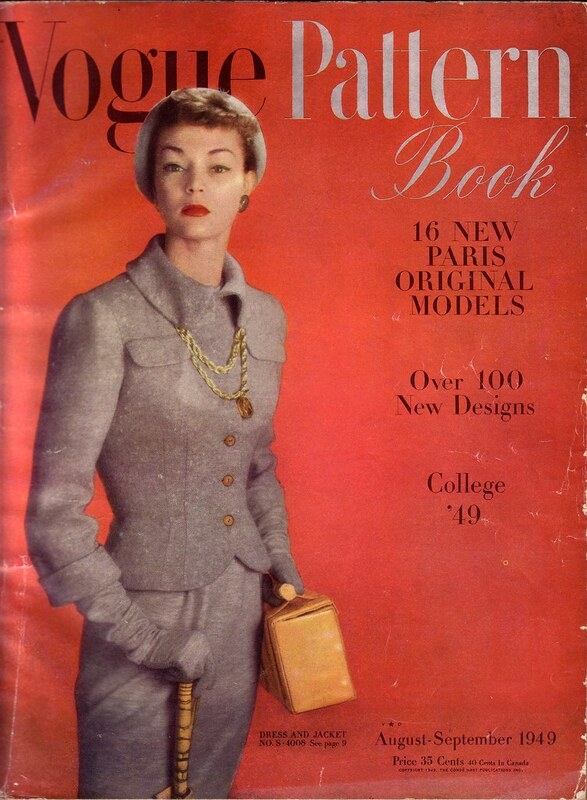 Vogue Pattern Book, December-January 1948-49. Photo: Serge Balkin. Image: eBay. 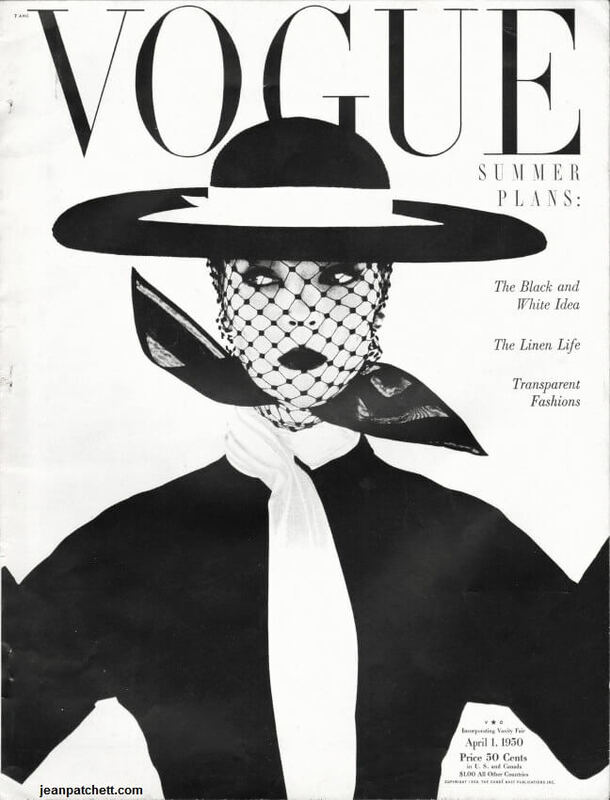 Jean Patchett in Vogue S-4967; John-Frederics hat. Vogue, February 1949. 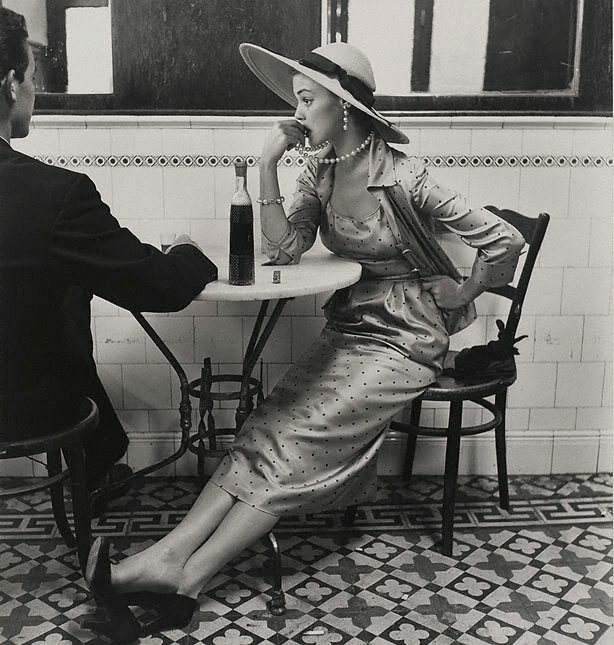 Photo: Irving Penn. Image: the Art Gallery of New South Wales. Vogue Pattern Book, August-September 1949. Image: flickr. Vogue Pattern Book, Summer 1950. Image: eBay. Simplicity catalogue, ca. autumn 1950. Photo: Richard Avedon. Image: Etsy. Vogue 7258 in Vogue Pattern Book, Early Summer 1951. Image: flickr. 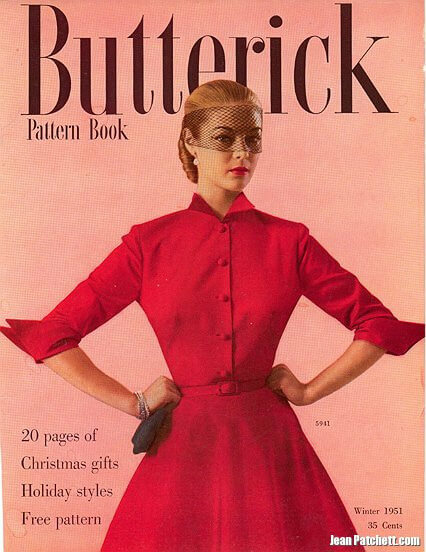 Butterick Pattern Book, Winter 1951. Image: jeanpatchett.com. 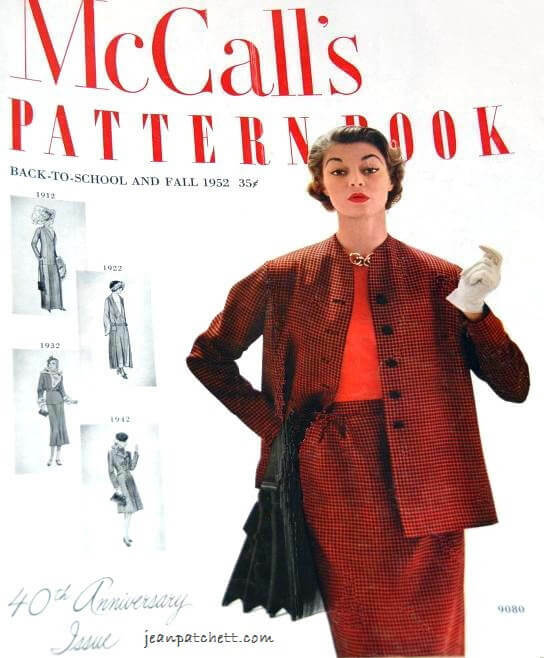 McCall’s Pattern Book, Back-to-School and Fall 1952. Image: jeanpatchett.com. Simplicity 4291 in Simplicity Pattern Book, Summer 1953. Photo: Lillian Bassman. Image: myvintagevogue. Burda Moden, October 1954. Image: flickr. Simplicity Pattern Book, Summer 1954. Photo: Paul Radkai. Image: myvintagevogue. Vogue S-4550 in Vogue Pattern Book, December-January 1954-55. Photo: Roger Prigent. “Make the clothes that make the woman” – advertisement for McCall’s Printed Patterns, 1956. 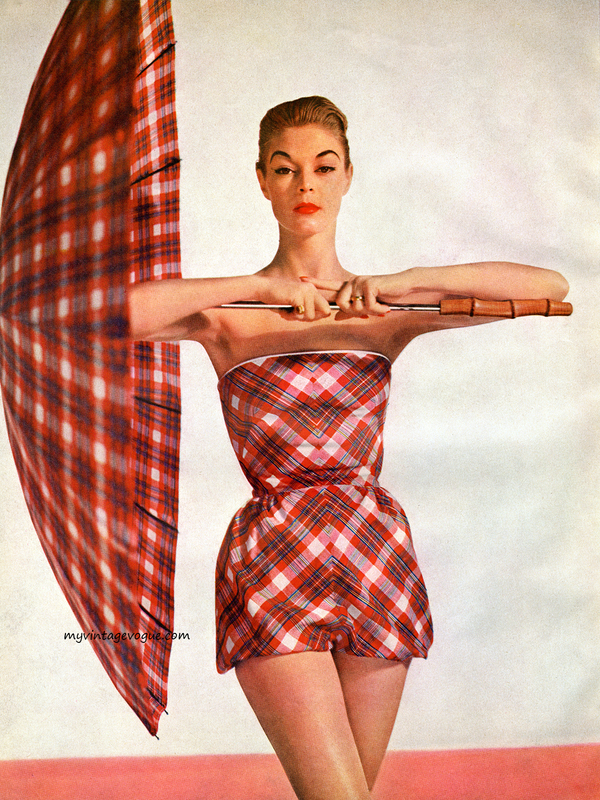 For more of Jean Patchett’s work, see jeanpatchett.com, myvintagevogue, or skorver on flickr. 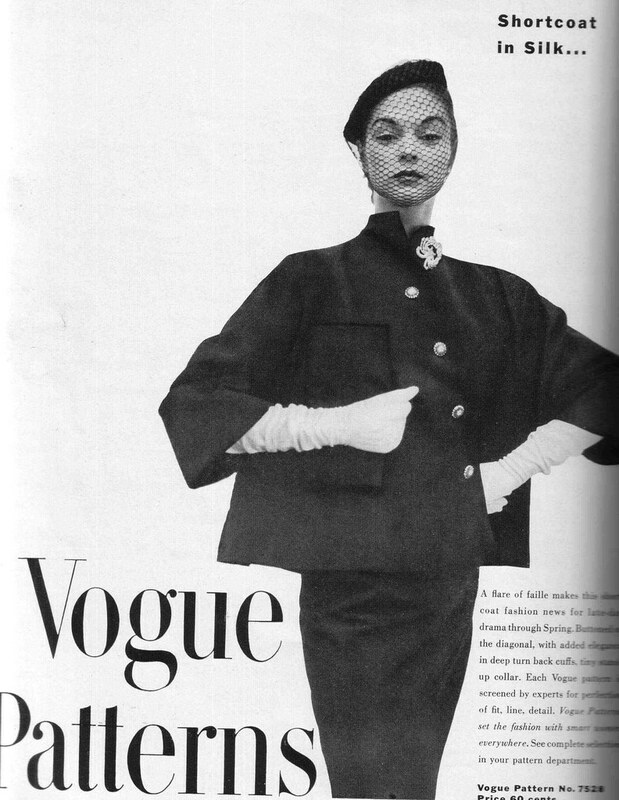 Timeless Style… Vintage Vogue. Vogue Patterns catalogue, September/October 1999. Illustration: Lamont O’Neal. Image: eBay. 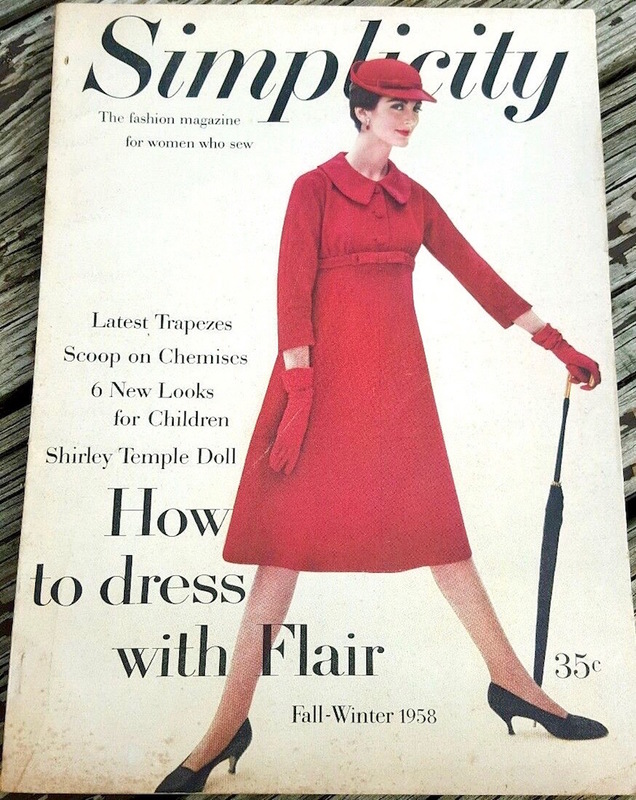 Simplicity 1777 on the cover of the Simplicity catalogue, Early Autumn 2012. Image: eBay. 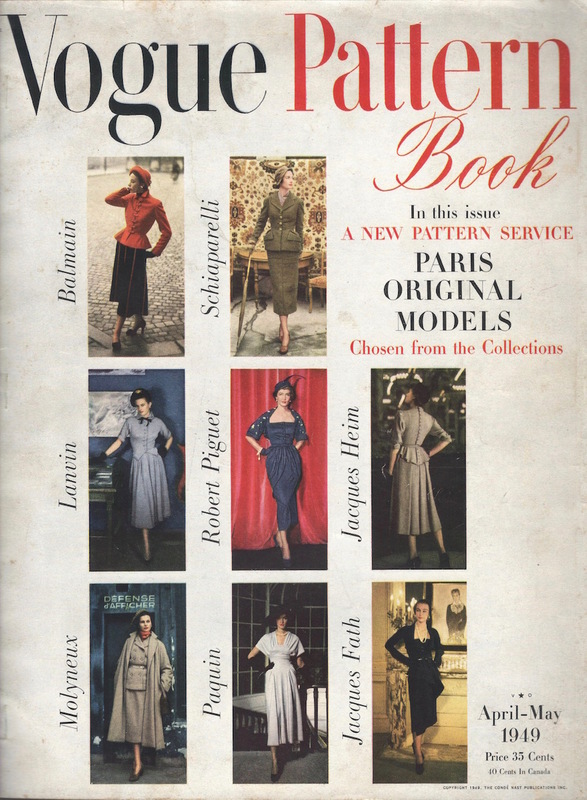 Launched in time for Holiday 1998, Vogue Patterns’ Vintage Vogue line provides true reproductions of vintage patterns borrowed from private collectors. (See my earlier post and discussion, How Do You Take Your Vintage Vogue? or get the details on the Vintage Vogue Search.) 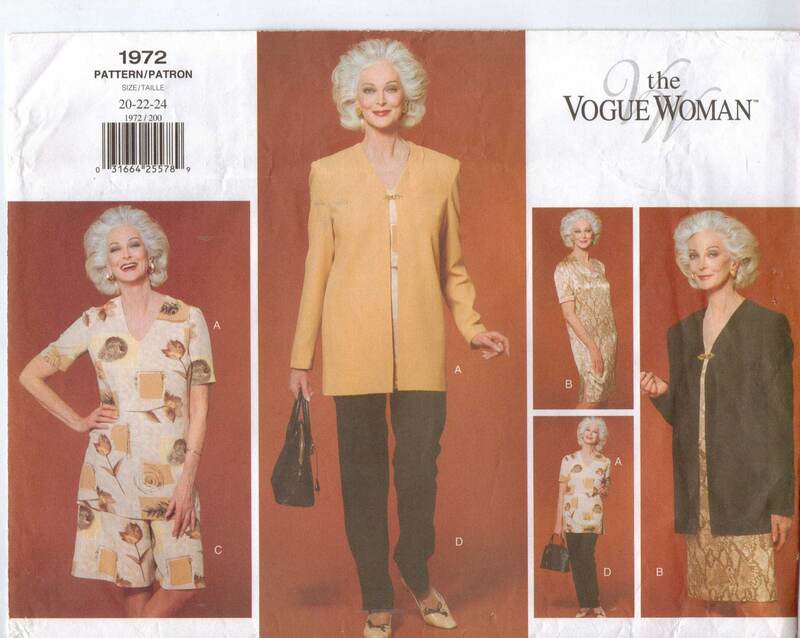 Alas, the terms of the old licensing agreements mean that Vogue can’t reissue designer patterns. 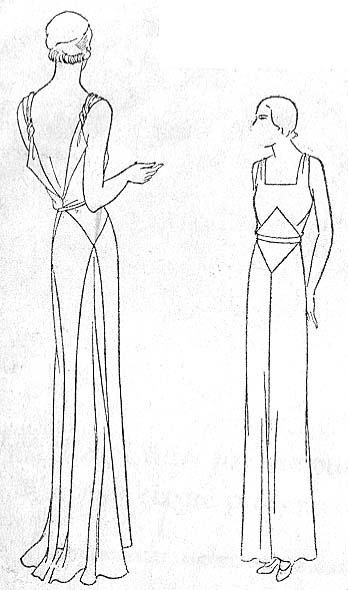 Vogue S-3543 and Vogue 5849 in Vogue Patterns, December 1, 1931. Vogue S-3543 (1931) Image: Commercial Pattern Archive, URI collection. For research purposes only. 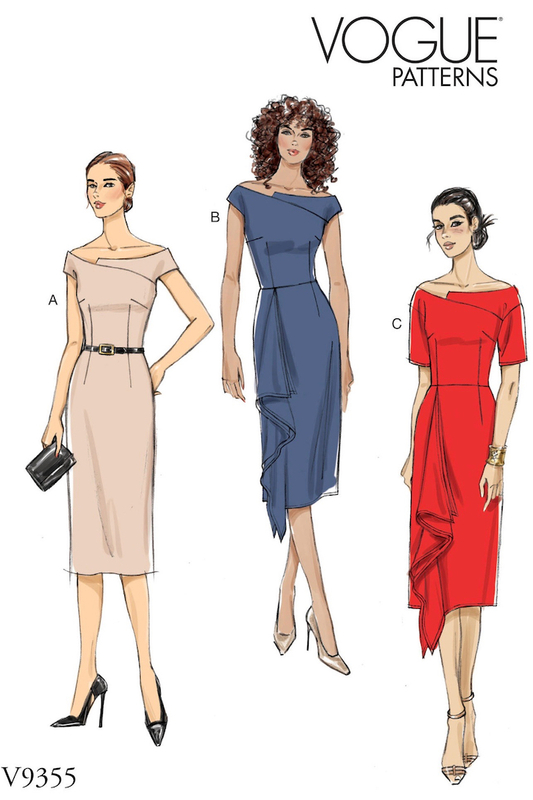 Both Retro Butterick and McCall’s Archive Collection patterns are recreated and sometimes adapted from archival materials, not the original patterns. With archival images, sticklers for accuracy can restore these adaptations to the original vintage design. 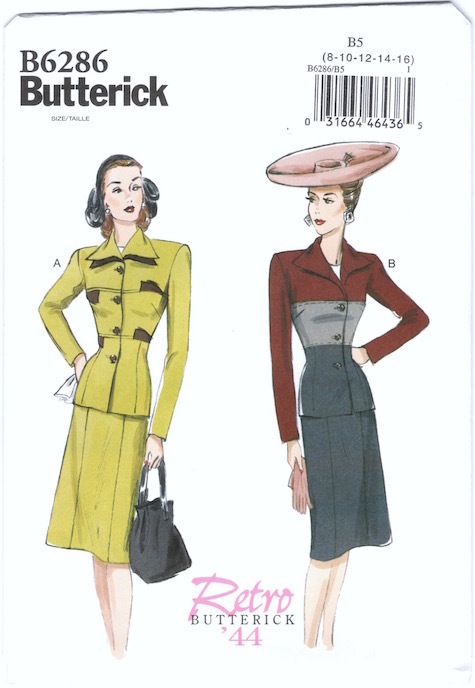 Butterick 4391 (1948) Image: Vintage Pattern Wiki. 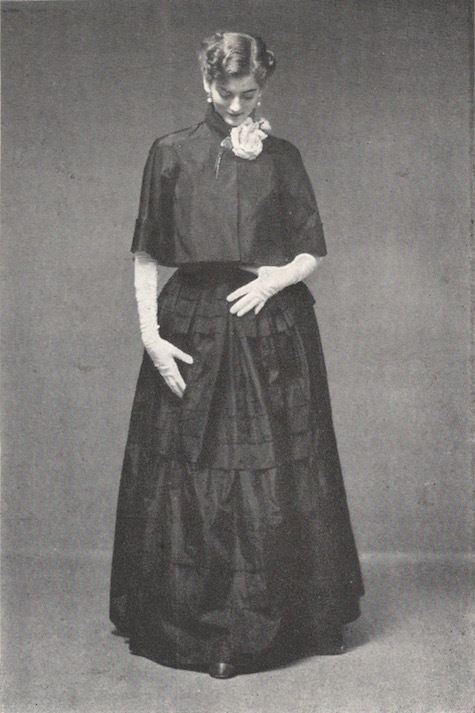 McCall 5057 by Agnès in McCall Quarterly, Winter 1927-28. 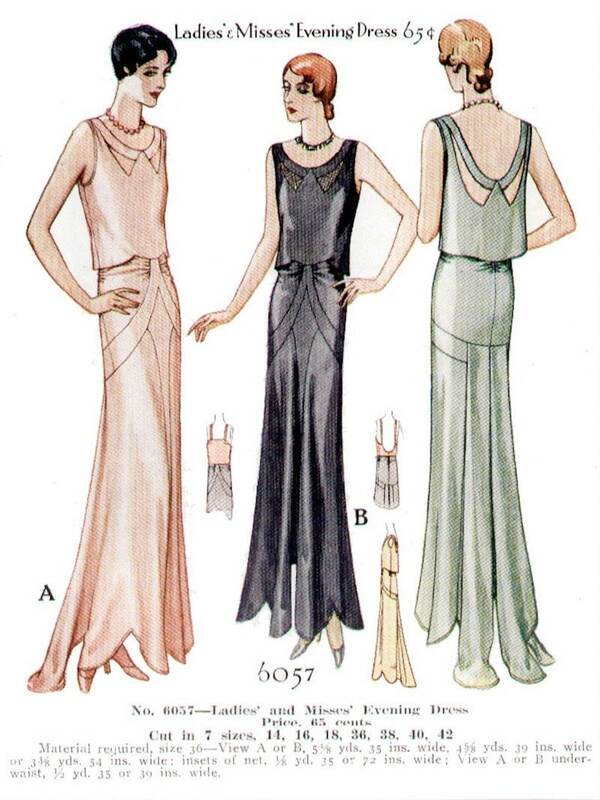 The Archive Collection’s Deco evening dress, M7154, is based on a design from spring, 1930: McCall 6057. An original copy sold on eBay in June, 2014 for over $800 US. 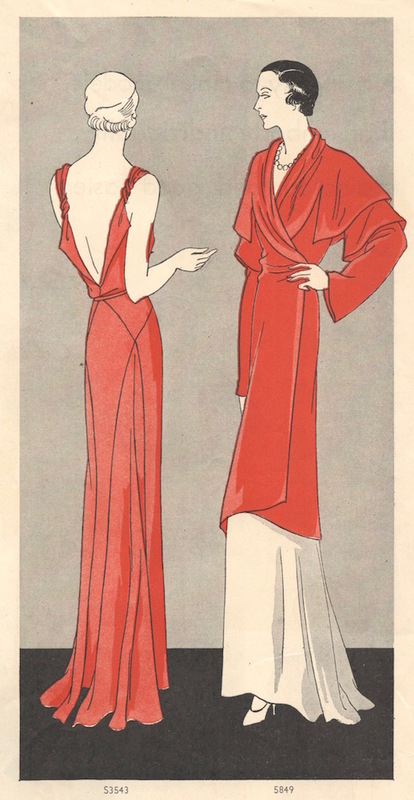 Catalogue illustration of McCall 6057 after Patou, 1930. Image: PatternVault on Etsy. No. 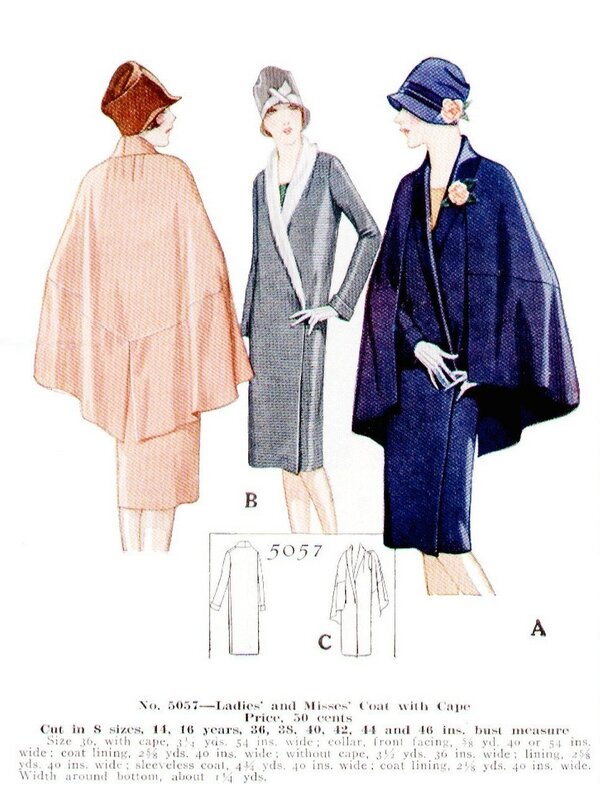 6057 after Patou, McCall’s, April 1930. Illustration: Lebrun. 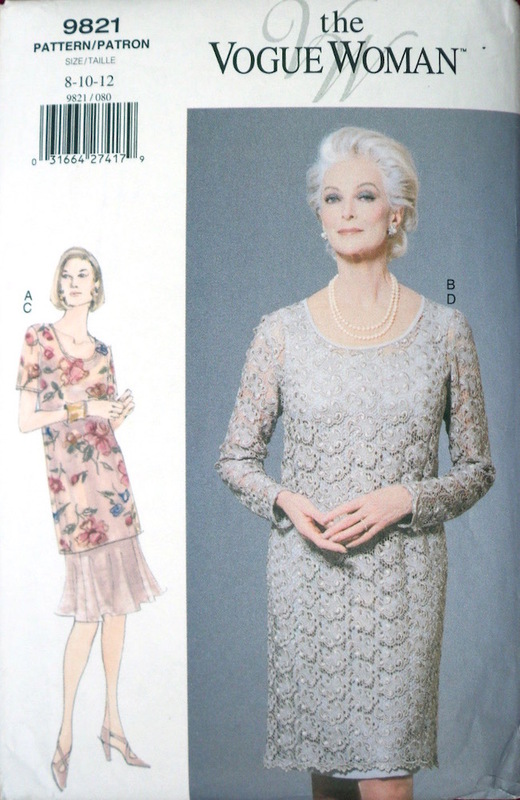 For more on the McCall Pattern Company’s vintage lines, see We Sew Retro’s interview. Vogue 1101 by Paquin, Vogue, May 1950. Model: Maxime de la Falaise. Photo: Norman Parkinson. 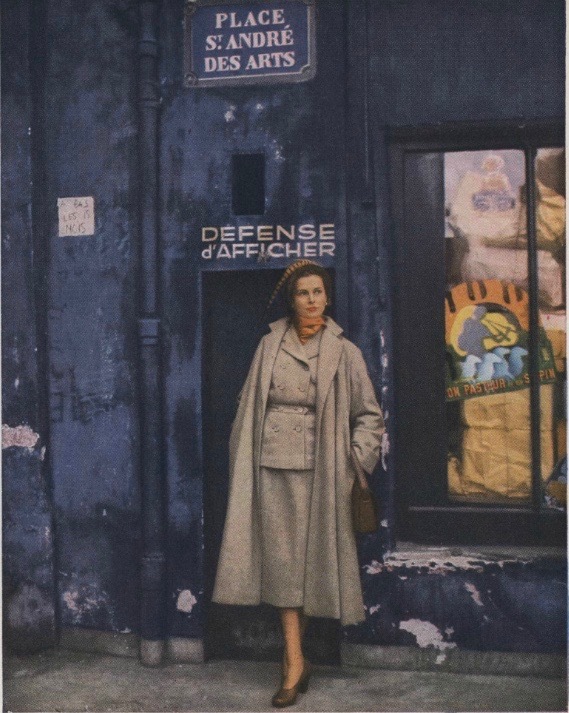 In honour of Paris, a selection of postwar fashion photography shot on location in the city. 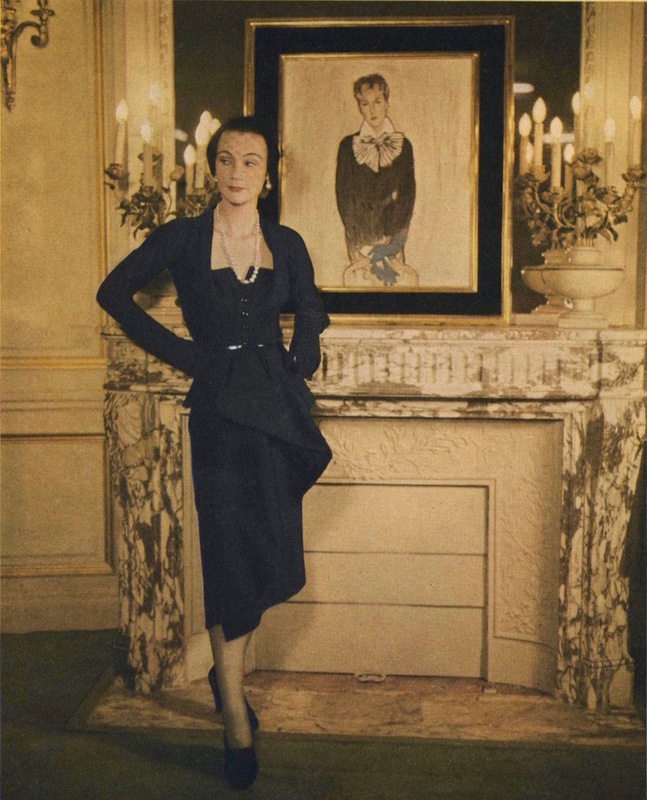 Vogue’s earliest Paris Originals were photographed in Paris, by Vogue editorial photographers including Clifford Coffin and Norman Parkinson. Vogue Pattern Book, April/May 1949. 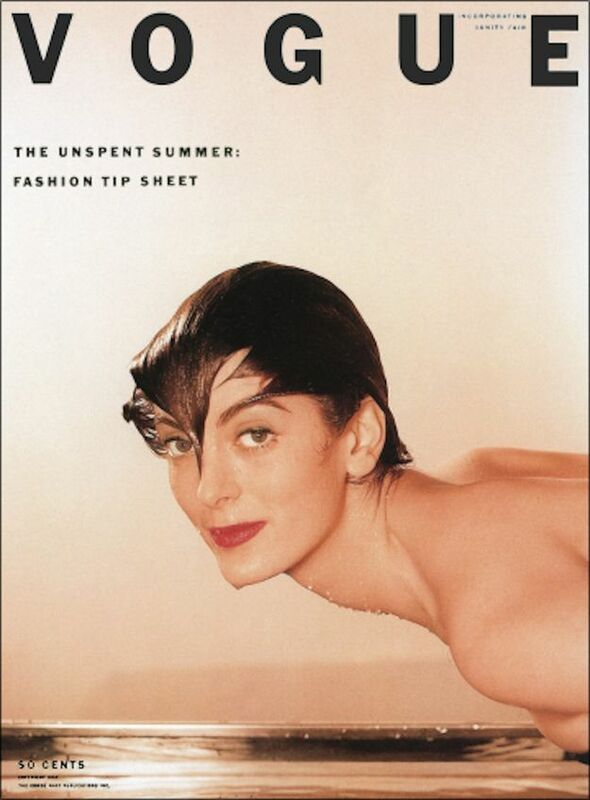 Photos: Clifford Coffin. The eight colour photos were first seen in the March 1st, 1949 issue of Vogue magazine, to announce the new couturier patterns. 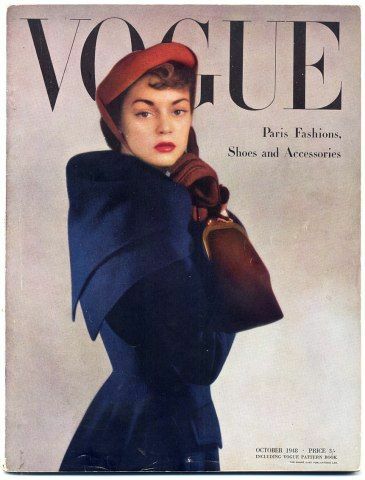 Vogue 1053 by Robert Piguet, Vogue, March 1949. Photo: Clifford Coffin. 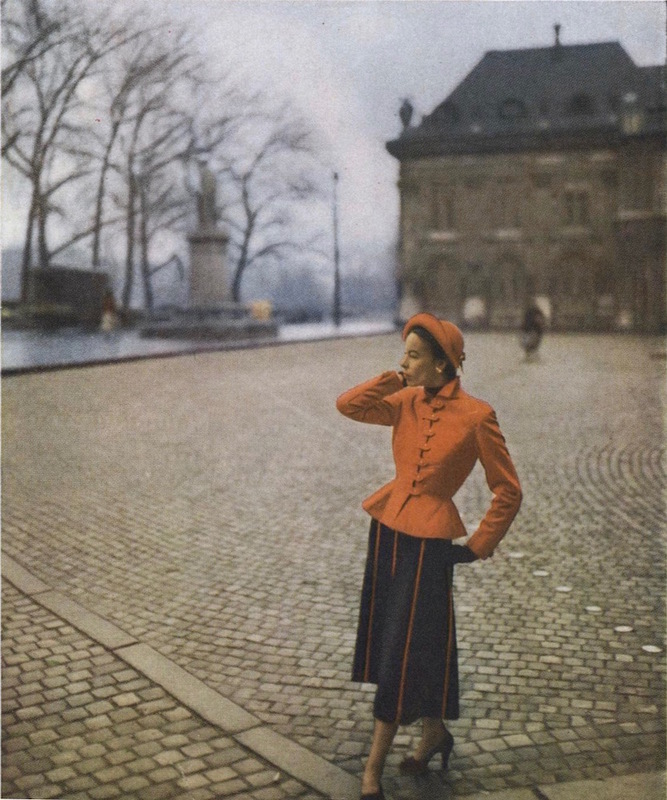 Vogue 1055 by Jacques Fath, Vogue, March 1949. Photo: Clifford Coffin. 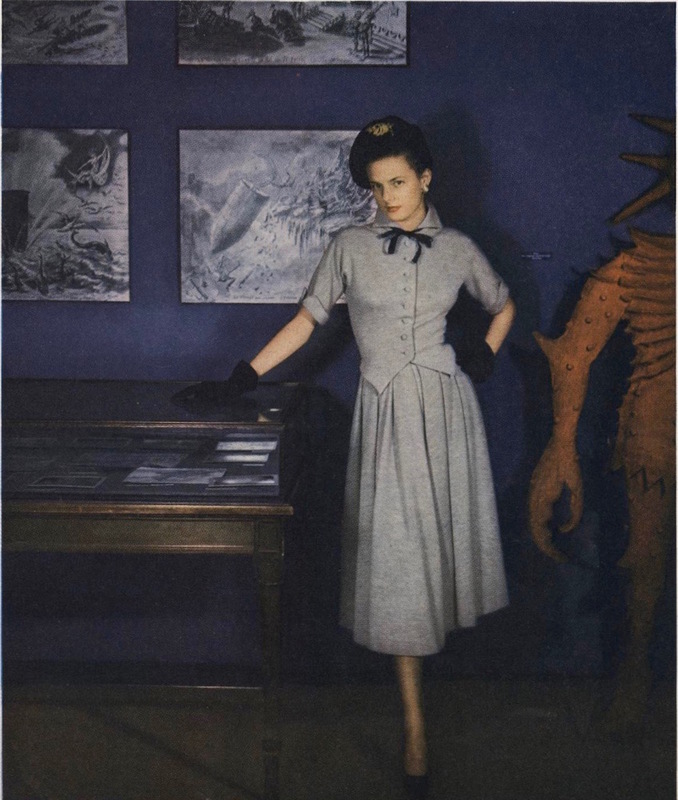 Vogue 1057 by Paquin, Vogue, March 1949. Photo: Clifford Coffin. 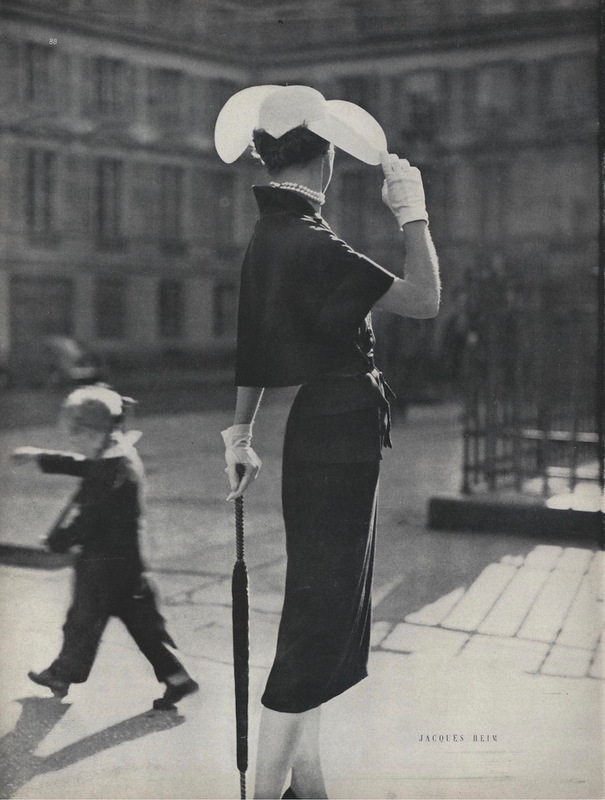 Vogue 1052 by Lanvin, Vogue, March 1949. Photo: Clifford Coffin. 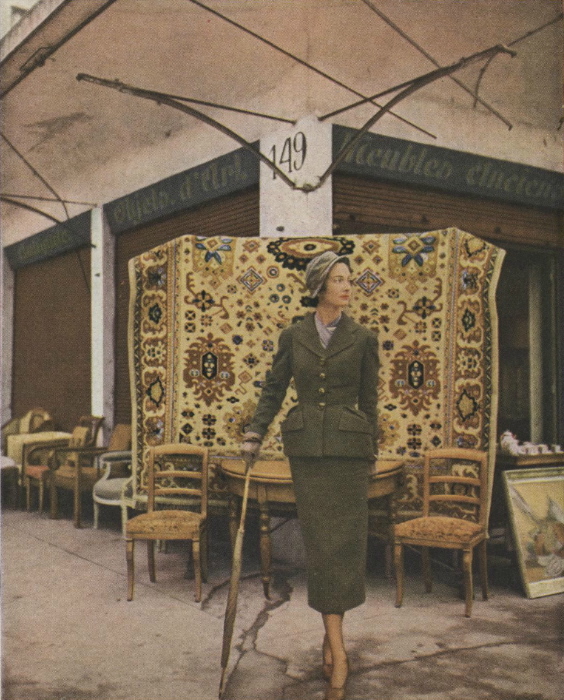 Vogue 1051 by Schiaparelli, Vogue, March 1949. Photo: Clifford Coffin. 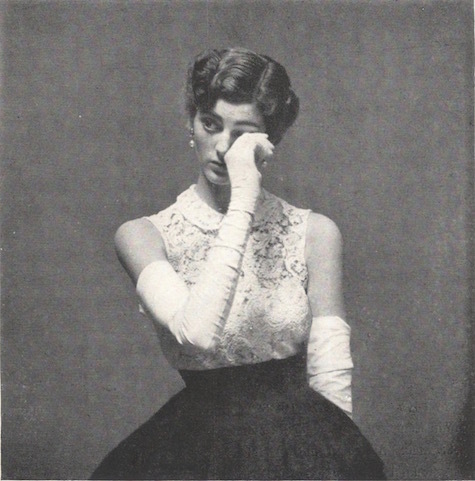 Vogue 1050 by Molyneux, Vogue, March 1949. Photo: Clifford Coffin. 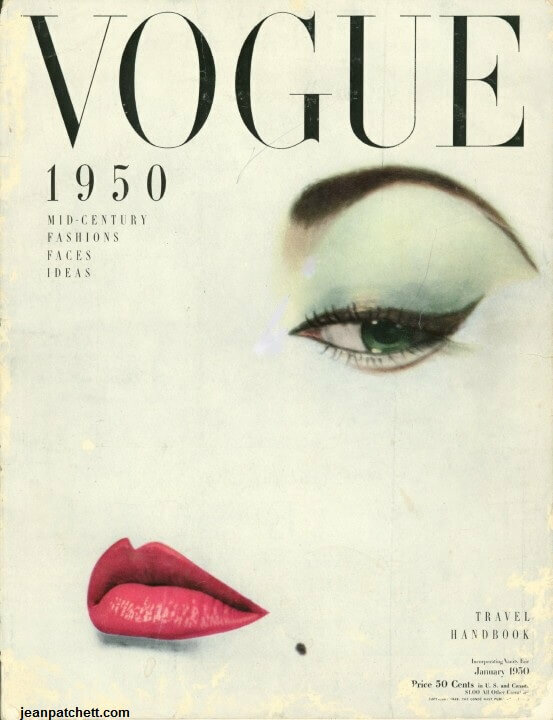 Vogue 1056 by Jacques Heim, Vogue, March 1949. Photo: Clifford Coffin. 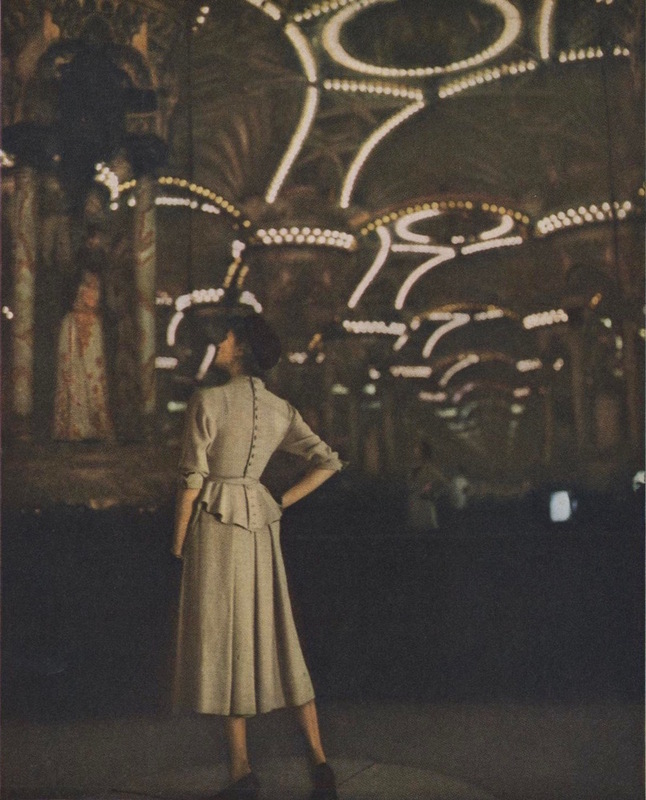 Vogue 1054 by Pierre Balmain, Vogue, March 1949. Photo: Clifford Coffin. Vogue 1099 by Jacques Heim, Vogue, May 1950. Photo: Norman Parkinson.